The weekend has rolled around once again and it has brought two huge Mixed Martial Events in tow. This weekend will see both UFC and Bellator MMA tread international waters. UFC 234 is set to take place in Melbourne, Australia, while Bellator will take place in Newcastle in the United Kingdom. Both shows are being headlined by top talent from the two MMA promotions, as their 2019 journey continues in February. Bellator has long been focusing on expanding in the United Kingdom, with several shows taking place there, while UFC has been more focused on dominating the globe as a whole when it comes to spreading the word about Mixed Martial Arts. It should be kept in mind that both the events will happen at almost the same time, with the Bellator main card being broadcast during the UFC preliminary card. 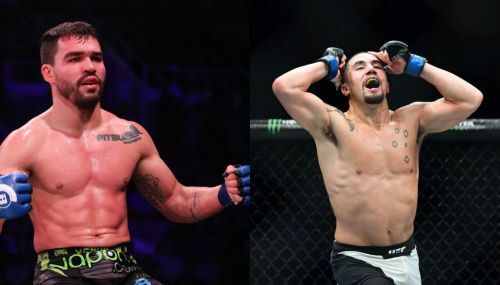 In this article, we will be taking a look at 4 fights from UFC 234: Whittaker vs Gastelum and Bellator Newcastle which fans should not miss out on. 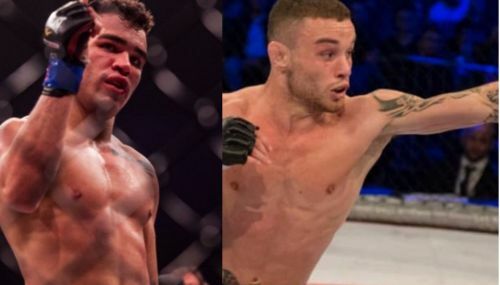 A fight which is hard to miss given that it is the main event for Bellator's show this weekend, Pitbull vs Ryan Scope promises to be a scorcher. Pitbull is a veteran fighter in this regard, as he has made a name for himself during his time as one of the longest tenured fighters in UFC. Given his experience and his recent win streak, Pitbull is looking for a title shot soon as he aims to win the Lightweight Championship. However, before he can get that far, he has an obstacle in his way in the form of the newcomer to the promotion, Ryan Scope. Scope is no green fighter and has a number of wins to his name. This fight has all the makings of a young wolf challenging the pack leader. A win here would be huge for either fighter, as well as the Bellator Title picture, so it is definitely a fight that should not be missed.